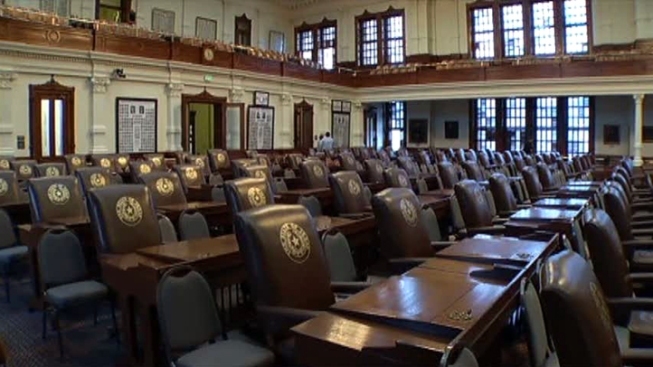 Texas House Approves Reduction of "Budget Gimmick"
Billions in unspent taxpayer dollars may be getting less crucial to balancing the Texas budget. The House on Wednesday approved scaling back a widely unpopular but perennial budget gimmick in the Legislature -- leaving billions of dollars in collected fees on the books so that lawmakers can more easily balance the budget. By a voice vote, the House gave preliminary approval to installing a $4 billion cap in unspent dedicated accounts. The money is collected every year for initiatives such as more funding for volunteer fire department and utility bills for low-income families. A balanced state budget is the only bill the Legislature is constitutionally required to pass every two years. The current budget was partly balanced on nearly $5 billion in dedicated funds. Republicans and Democrats have sought to make reducing their reliance on the accounting loophole a priority this session. "The goal of this is to wean us off using these dedicated funds so they can be used for the purpose for which they were collected," Republican state Rep. John Otto said. Budget-writers say it will take several legislative sessions to stop using the budget trick entirely. Lawmakers vowed this session to pass "truth in budgeting" legislation like the measure that has now cleared the key House vote.